Playgrounds: more than just grounds to play on? Playgrounds. I learned so much about them over the last couple of days. To be honest, it turned out that I have always taken them for granted. I knew that play is (besides being a lot of fun) important for a child’s development (physical as well as cognitive, emotional and social), and playgrounds can play a huge role in this. But I have never thought about them in so much detail as I did last week during the Child in the City conference and the Urban95 Study Tour in London, which I attended for the Bernard van Leer Foundation. I am a mother of a 2-year-old and live in a city. Looking at the big smile on my son’s face and his enthusiasm when entering a playground always shows me that it is a good thing to take him there. But what makes a playground a good space for under 5s? Why is it important not to completely avoid risks? Why is it important to have enough playgrounds in a city? What does it mean, exactly, ‘enough’ playgrounds? These are questions I had honestly never thought about before, and that were answered during my trip to London. The answer really opened my eyes, and immediately triggered a new question: how is my own city, Rotterdam, doing in terms of playgrounds and public spaces for the youngest children? During the Child in the City conference and the Urban95 Study Tour in London, I met a lot of inspiring people. Besides witnessing many interesting, expert presentations that really shone a different light on playgrounds for me, I was also very lucky to experience some of London’s greatest playgrounds myself during a walking tour, seeing some great examples with my own eyes. The world is urbanising rapidly, with more and more children growing up in cities. We, the Bernard van Leer Foundation, believe that if a city is created and designed with the youngest children (0-5 years) and their caregivers in mind, it will work for everyone. That is why, during the walking tour, we specifically looked at the playgrounds and public spaces from a height of 95cm, the average height of a healthy 3-year-old, using metal rulers with eye masks attached to them. Doing this showed us some interesting things that we might otherwise not have noticed. For instance, the plants surrounding the Tumbling Bay playground in the Queen Elizabeth Olympic Park. For adults, they feel like unremarkable bushes that you can look over to keep an eye on your child. 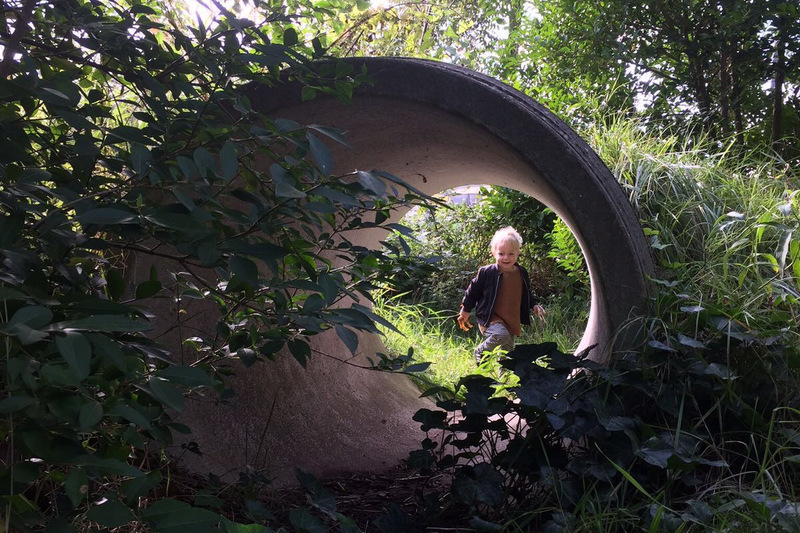 A 3-year-old, however, cannot look over them: the walking paths between the plants give these young kids an amazing feeling of being in nature, like a forest in the middle of the city, and the feeling that their parents can’t see them. Another thing I learned at the conference is that children prefer to play in spaces closest to their homes, even though these spaces are not necessarily designed as playgrounds. I learned about the term affordance, meaning ‘something in the environment that makes an offer to someone or that reveals a possible function’. 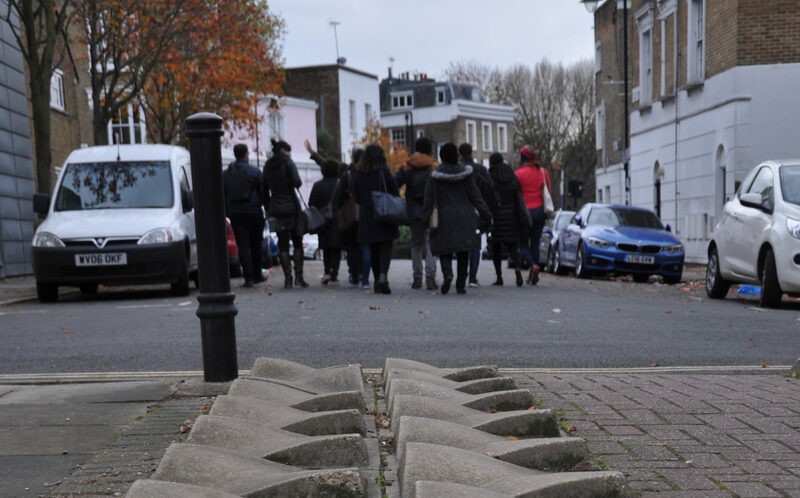 During the walking tour, I immediately put this knowledge into practice, viewing streets through a different lens than I had before, and seeing how things and objects that are not necessarily placed there as play equipment could still serve this purpose. The tiles in the below picture, for instance, were – I believe – originally placed in the street to slow down cars, but I could really picture kids playing on them. 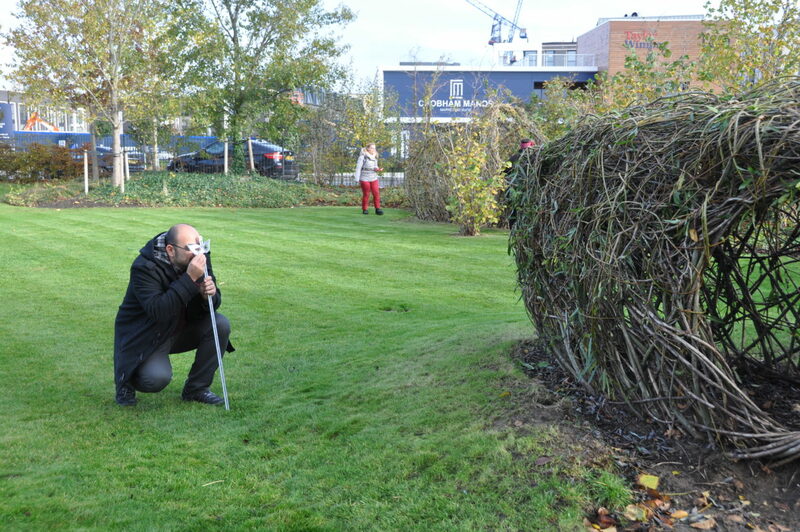 Meghan Talarowski from Studio Ludo was one of the experts who joined us as a speaker on the Urban95 Study Tour. She had conducted a study of London playgrounds: over a six-month period, she visited 45 playgrounds in London and assessed 16 of them, collecting data on users’ gender, age, ethnicity and activity levels. Her research report will be launched later this month. 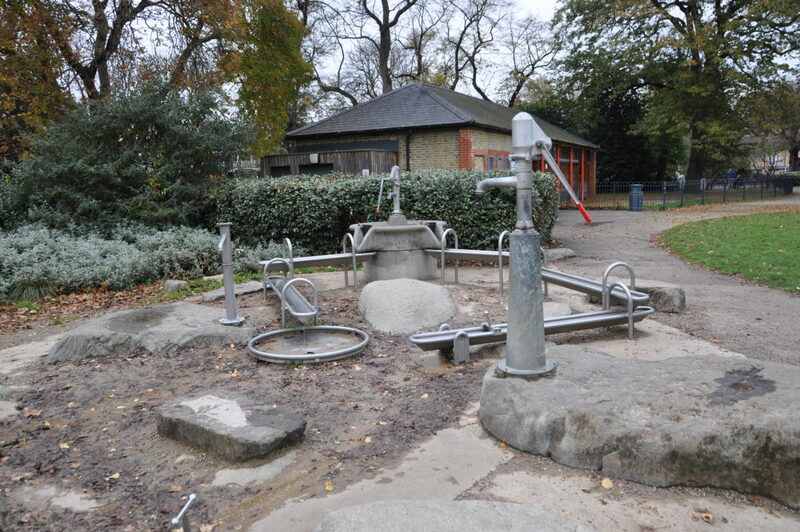 When asked ‘if you were designing a playground for under 5s, what ingredients should definitely be there?’, she replied: ‘sand, water and something to climb on.’ These are ingredients we witnessed ourselves at the different playgrounds we visited during the tour. An additional suggestion from designer Phil Doyle, who has over 30 years’ experience developing play opportunities for children and young people, was ‘something that kids can turn into loose parts, like plants, grass and leaves.’ He added: ‘the most important loose parts actually are other children in the playground’. I took away from this experience that it is important to have good play spaces everywhere in a city. By this I am not referring to enormous, well-designed playgrounds; no, I am talking about something far more simple. It would be great for the liveability of the city for the youngest citizens and their caregivers to have ‘pocket parks’ everywhere, which include playable ingredients such as sand, water and something to climb on – a grass hill, or wooden pillars. I mention caregivers here as one of the characteristics of the youngest citizens, aged 0-5 years, is that they are usually accompanied by one or more caregivers. Another lesson I learned during this trip to London is that this needs to be taken into account when designing a play space for the youngest. Services for adults need to be included, such as benches, a grass area where they can sit and relax or a café. I am thankful for this opportunity to have met so many inspiring people from all over the world and different disciplines. It was great to connect and learn from each other. I went home with a head full of new ideas, knowledge, inspiration and great connections. I can’t wait to walk around Rotterdam with my son to experience how my own city and neighbourhood are doing in terms of playgrounds and public spaces.